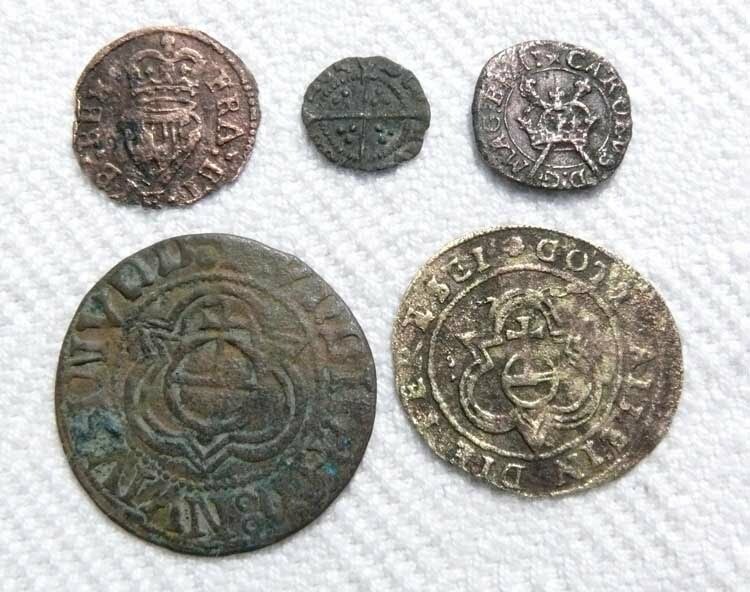 Some very nice new finds from Jason Sandy. 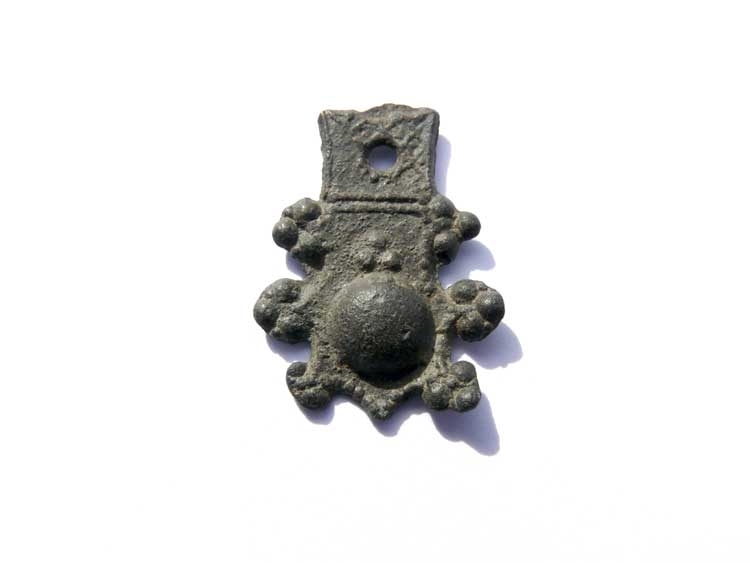 The first image below is of a Medieval pilgrim's badge. 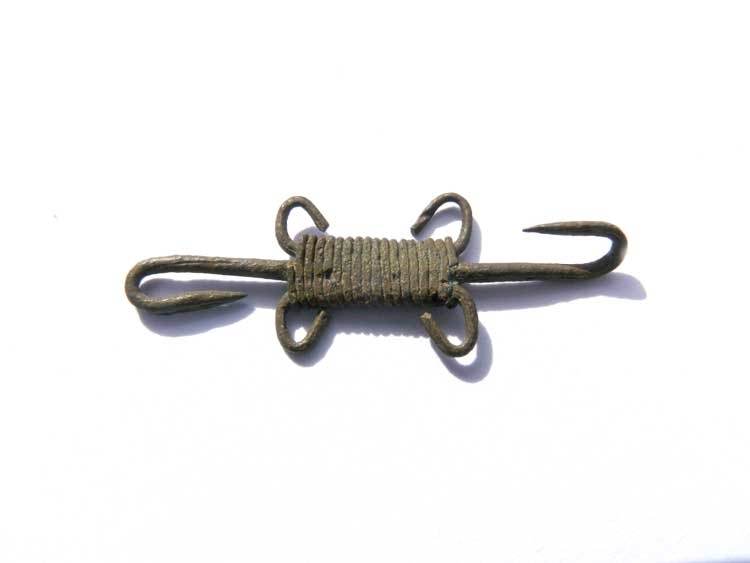 In Spencer's book, 'Pilgrim Souvenirs and Secular Badges,' there is a very similar pilgrim's badge which is a representation of the Assumption and the 'legend of the Virgin casting down her girdle from heaven to convince the doubting St Thomas, who had arrived too late to witness her bodily resurrection. 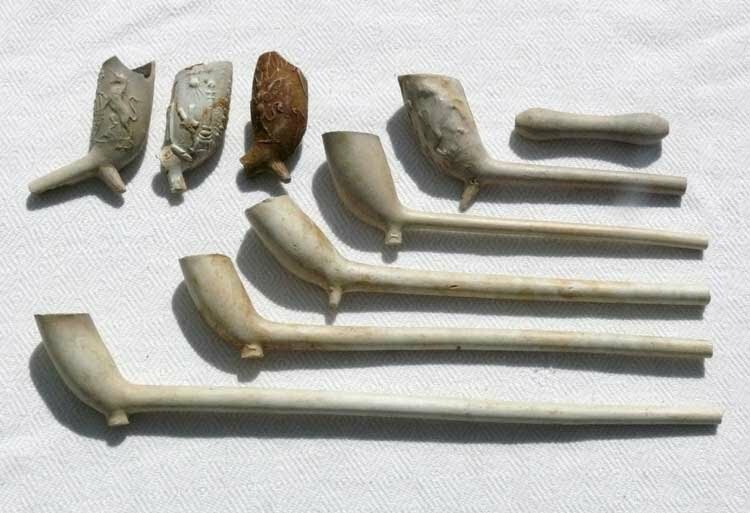 A few churches claimed to possess the girdle, the most famous one in England being at Westminster Abbey. Believed to alleviate the hazards of childbirth, the Westminster relic was borrowed by medieval queens at confinements. 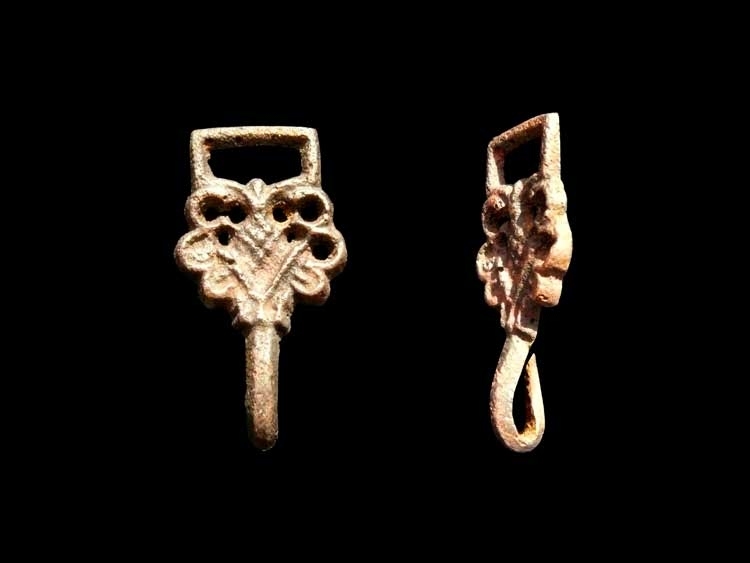 The miniature strap-end buckles and chapes which are too small and fragile to have been of practical use, are the surviving metal parts from miniature pilgrim souvenirs of the Virgin's girdle.' 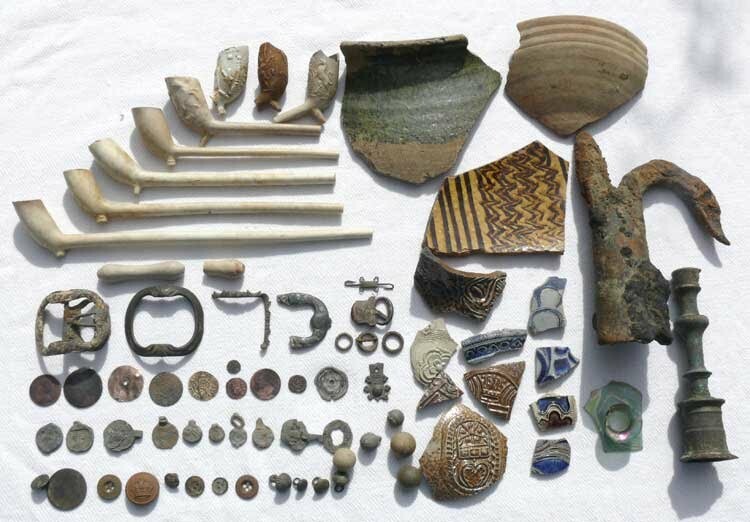 Other finds include bag seals, buttons, a clothes fasteners, clay pipes and hammered coins.